SKU: 81105 25. 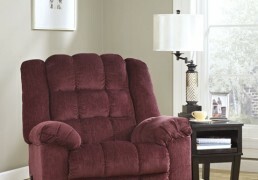 Categories: Ashley, Recliners. Tag: 811. 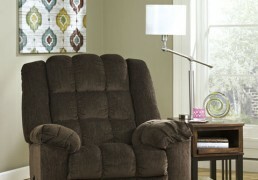 The “Ludden” rocker recliner collection offers the comfort of a soft chenille upholstery fabric surrounding the plush pillow top arms and support divided back cushioning wrapped within a stylish contemporary design making this the best seat in the house.Frame constructions have been rigorously tested to simulate the home and transportation environments for improved durability. Corners are glued, blocked and stapled. Stripes and patterns are match cut. All fabrics are pre-approved for wearability and durability against AHFA standards. 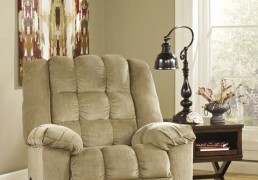 Cushion cores are constructed of low melt fiber wrapped over high quality foam. 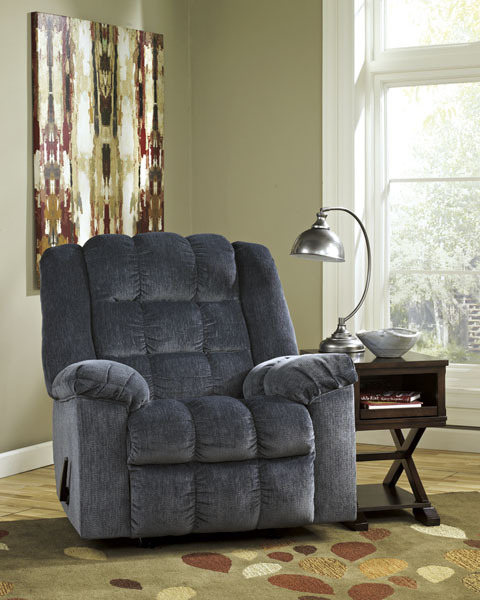 Features metal drop-in unitized seat box for strength and durability. All metal construction to the floor for strength and durability. The reclining mechanism features infinite positions for comfort. Also available in power.